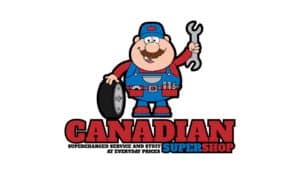 Home Canadian Super Shop Differentials and transfer case lubrication. Differentials and transfer case lubrication. 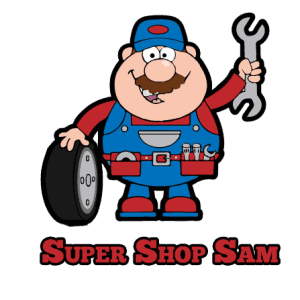 Canadian Super Shop provides front and rear differential service as well as transfer case service to determine if there are any issues with your cars turning system. The differential is a mechanical component that spends both the left and right wheels. But let’s them rotate at different speeds so that the vehicle can make turns. When a vehicle makes a turn. The outer real has to turn faster than the inner wheel due to the difference in the length of the path they take. The differential is located between the two wheels and is attached to each wheel by an axle shaft. Four-wheel-drive vehicles have a separate differential for each pair of wheels connected through the transfer case. Differential and transfer case fluids provide lubrication’s to gears bearings, shafts and other internal components. Heat, pressure and friction can slowly break down the additives in the fluid. In addition, small particles of metal and clutch material may come off as a wherein these particles can mix with the fluid. Fluids can also become contaminated with water. Noise from differential transfer case. Many symptoms are not noticeable until failure. Transfer case fluid should normally be changed every 48,000 kilomters, especially if the vehicle is frequently in four-wheel-drive or used for towing. Check your vehicle’s manufacturer’s recommendation. When your transfer case fluid becomes contaminated due to carbon buildup. While cooling the hot drive train components. Your vehicle will beaks begin to shut her when turning or omitting whining sounds. Vehicle use either synthetic gear oil or traditional gear oil. This fluid removes heat and lubricates the parts within the transfer case, it’s important that these gears are Cool and turning smoothly. If you are experiencing symptoms of contaminated transfer case fluid, call Canadian super shop today and we will make sure your vehicle is running safely and efficiently. Benefits of a differential and transfer case lubrication service.